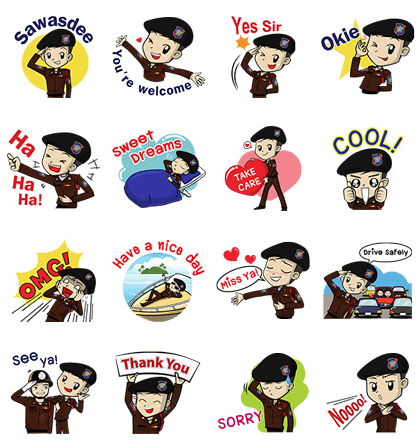 http://www.line-stickers.com/ – Lieutenant Change Line Sticker | Lieutenant Change will make sure that you have fun and stay safe throughout the day. 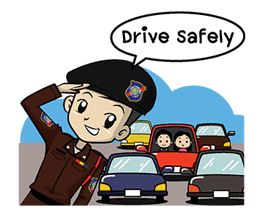 Friend Thailand Tourist Policeʹs official account to get these stickers. Available till October 8, 2014.